If you’re one to devour books in a matter of days, hours, minutes, then you should get to know Kobo. 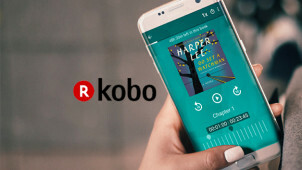 From its fantastic selection of eReaders to its library of 5000 titles strong and growing, Kobo embodies all of the essential ingredients for the most wonderful library, built for the digital age and for the busybodies out there. With Kobo you can read your way and enjoy book features that you never thought possible. More than 50 font sizes and multiple font types, the ability to adjust margins, write notes and highlight text, there is even a built-in dictionary - indeed, with the tap of your finger - a new realm of reading awaits. Explore the innovative Kobo eReaders and browse audiobooks and ebooks galore. Whether you’re in to romance, non-fiction or fantasy, you’ll find a read and a title to suit you. Simply download the Kobo app via Google play or the App Store for free to access all of your eBooks and audiobooks while you’re on the move. Letting you move seamlessly between devices, you’ll always find your page and this is where reading will fit around your lifestyle like never before. How do I use my Kobo promo code? Choose a promo code for Kobo on vouchercloud, once copied, head to kobo.com/au/en/ and click ‘create your free account’ or sign in. Add the ebooks or other products you’d like to your cart and click the cart icon to checkout. Enter your promo code where prompted on the page to redeem your discount and checkout securely. You can browse the Kobo blog at your own ease to access a world of information and interesting features on literature, all for free! How many Kobo Super Points do I have? You can check your points balance via the Super Points Dashboard. Can I buy Kobo gift cards? You can indeed gift Kobo to another. Do Kobo eReaders come with a warranty? Limited warranties are available on all Kobo devices. Once you have purchased your ebook, you will need to download it to your device, from the Kobo Cloud in order to read it. You can cancel your Kobo subscriptions via your account. While you have 30-days in which to return your Kobo device if you aren’t 100% happy with it. Get in touch with Kobo customer services online. Kobo is like your own personal bookshop, giving you an endless supply of brilliant reads and even audiobooks. With an innovative selection of e-readers to invest in too, your Kobo promo code will save you on the Kobo Aura, the Kobo Aura One and many more. All designed to perfection so as to ensure the ultimate reading experience - find your Kobo device, your accessories and your favourite reads - this is a one way ticket to perfect time to self. As well as getting all your kicks out of reading with Kobo, you can even enjoy earning Kobo Super Points while you dabble in your favourite hobby too. Every time you buy an audiobook or an eBook, you’ll collect points, and when you’ve collected enough, there’s nothing left to do than to redeem them against a flurry of fantastic titles. The Kobo Aura ONE is one to delight bookworms everywhere. Its streamlined design is impressive, to say the least, letting you access endless stories in a way that suits you and your budget with those nifty Kobo vouchers from us. Boasting the clearest screen yet, on a lightweight design that is sleek and designed for easy page turns and hours of reading, pick yours up and you won’t put it down.